The Cotton Pickin’ Fair, Georgia’s original AgriTourism Event began in 1972 on the 189 year old Gay family farmstead. On Oct. 6 & 7, the Cotton Pickin’ Fair will celebrate the 89th edition of the Fair when 350 artisans from across the United States to the Gay Family Farmstead in Gay, Ga. Artisans are nestled in and around interesting farm buildings dating from 1891. Come and enjoy an exciting range of art, antique, and craft exhibits. 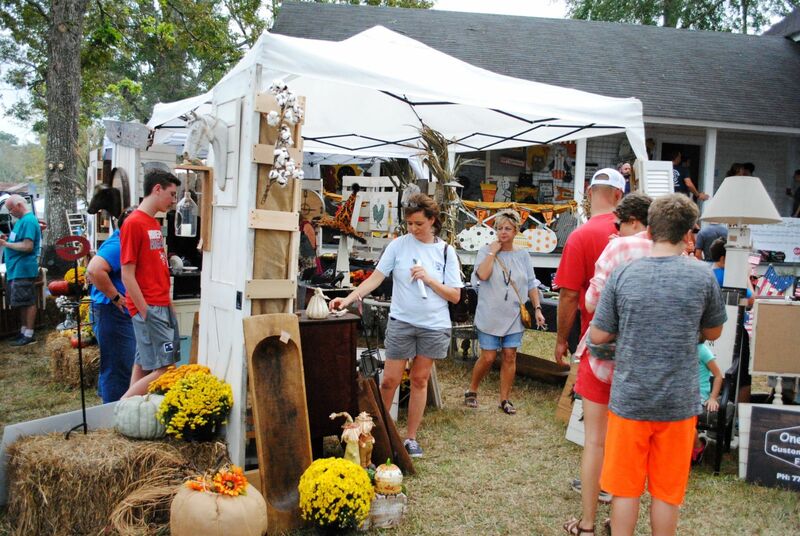 Festival patrons enjoy fine art, pottery, weaving, basket making, blacksmithing, sculpture, wood working, folk art, jewelry, furniture, and gourmet food. Musicians, puppeteers, folk dancers, and magicians entertain on a variety of rustic stages, at a tree-lined farmstead reminiscent of rural life a few generations ago. A wonderful variety of delicious southern food prepared on site benefits local nonprofit organizations and charities. Bring your appetite and join us for breakfast, lunch, and dinner at the Cotton Pickin’ Fair. Festival guests also enjoy a complimentary shuttle from the fair to our historic circa 1840 Red Oak Covered Bridge built by renowned engineer Horace King. Visit the Cotton Pickin’ Fair from 8 a.m. to 5p.m. Saturday and Sunday for a unique family outing and historic farm country experience. For a festival preview or directions visit www.cpfair.org or http://www.facebook.com/thecottonpickinfair. Admission: Adults (13-64) – $10; Seniors (65 and older) – $9; Children (7-12) $5; No charge for Children 6 and under. .